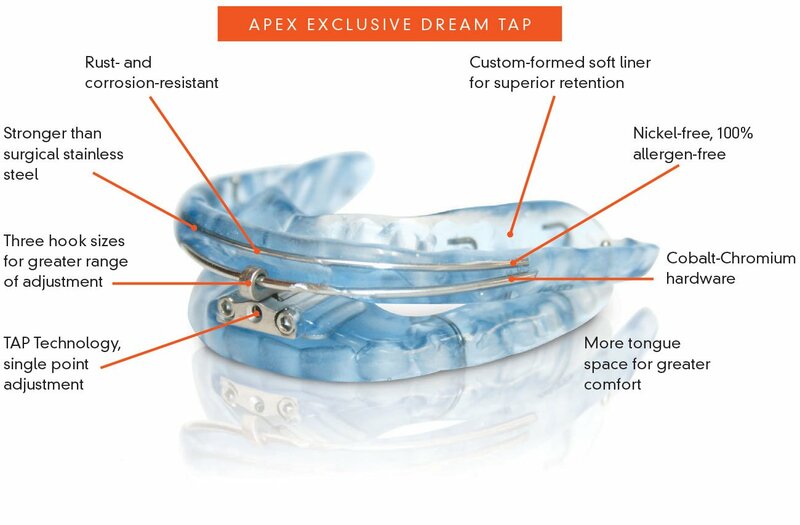 Apex Dental Sleep Laboratories fabricates and develops quality, customized dental sleep appliances. We help dentists give their patients quality sleep, better health, and increase their quality of life through Dental Sleep Medicine. 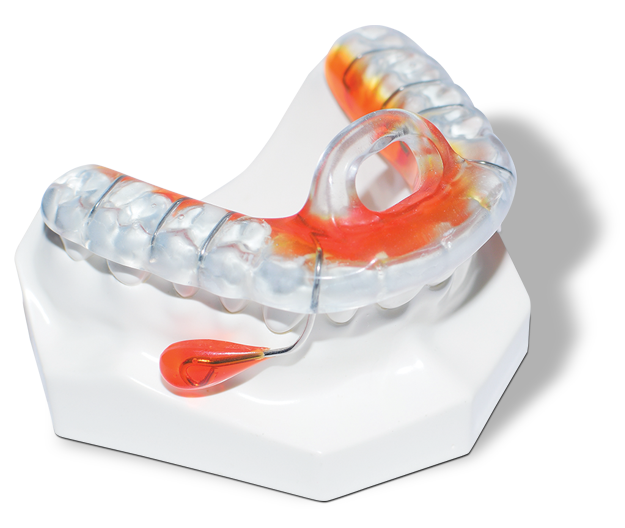 Here at Apex we make simple solutions for apnea, TMJ/TMD, and Bruxism sufferers. Kava Dorsal is the first appliance to utilize a unique mandibular advancement dorsal screw. Engineered by Apex for a sleek, refined, effective design, the Kava Dorsal creators kept the patient in mind at every step. Smallest, least invasive and strongest device on the market. Flexible and resistant to severe bruxing. Easily titrated with 1mm and .5mm advancement rods. Fabricated to HIP mounting, “S” bite, George gauge and other bite protocols. In order to accommodate every patient, we offer a wide range of plates for tailored contact surfaces, from our standard one to a customized anterior pad. There is no need for a different device for each kind of patients when the D-SAD can be adapted for every situation. Likewise, an extensive choice of bands is available upon ordering. The band plays a key role in regards to comfort and retension of the device and must be designed with care. 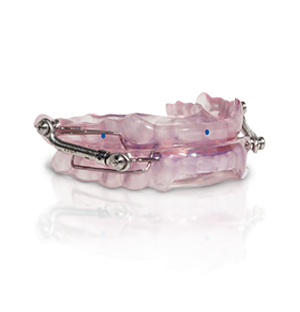 Consequently, our band designs optimize the dental experience, without compremising the treatment of snoring or OSA. 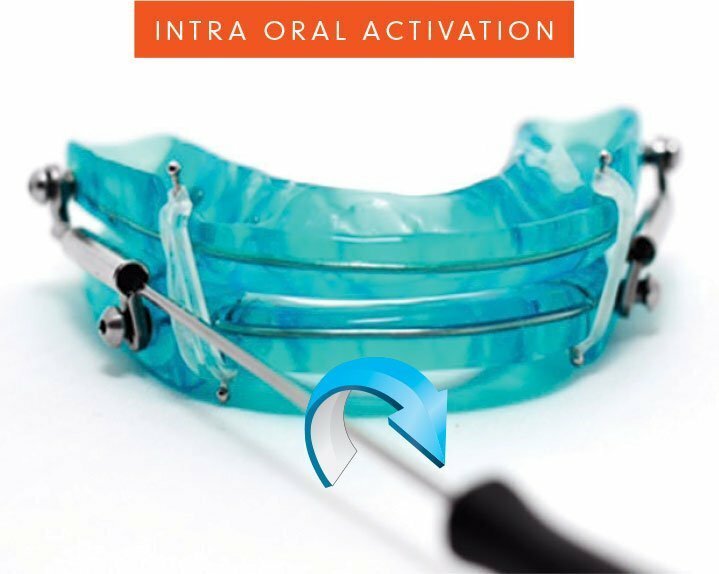 OravanOSA offers FDA cleared, custom-fit sleep devices with a truly open anterior design for the treatment of mild to moderate sleep apnea. This unique open anterior contains no buccal or incisal coverage on the anterior teeth, leading to maximum patient comfort and natural tongue protrusion. Also experience less clinical chair time as these devices will not interfere with any anterior cosmetic work! Orange acrylic is for illustration purposes only to demonstrate the thin lingual design. All devices come in clear acrylic. 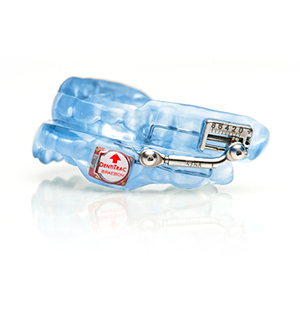 The EMA oral appliance from Myerson increases airway space by advancing the mandible using interchangeable elastic straps. 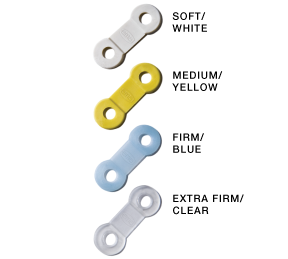 EMA elastic straps come in 9 different lengths (see figure A), and 4 different strengths (see figure B). 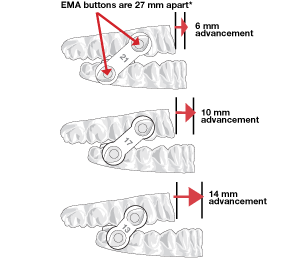 The shorter the ema elastic strap, the farther the mandible is advanced (see figure C). 36 different straps allow for the most effective repositioning with maximum comfort. EMA elastic straps are 100% latex free. *Myerson recommends a distance between the buttons of 27 mm in the centric position. 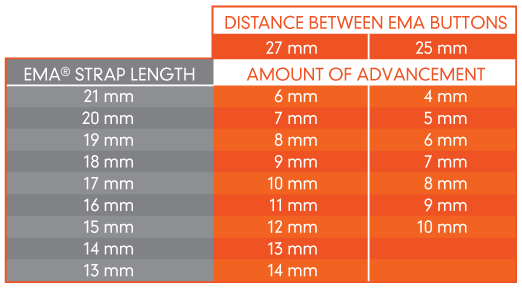 If the patient’s range of mandibular advancement is limited to 9 mm or fewer a distance of 25 mm distance is recommended. Oral/nasal airway system is the first system to address the resistance to breathing in the entire upper airway. It is FDA (k030440) approved as a nasal dialator and mandibular repositioner for the treatment of both nasal and pharyngeal restrictions that cause snoring and sleep apnea. T-10 Hinge is smaller in profile, which allows for more flexible placement, even in shorter arch cases. Telescope designed hinge does not come apart with full extension. Advancement of 10mm, compared to current 5mm hinge. Designed for intra-oral activation, compared to side-activation out of the mouth. T-10 Hinge has etched mm marks on the hinge for identification of advancement, compared to other hinges. Nylock coating in hinge chamber prevents screw from backing-off. Welded stop prevents screw from evacuating chamber. OASYS Hinge can pair with OASYS Oral Nasal Airway System, to include Nasal Dilators and Lingual Tongue Lifters. The unique design allows the patient to fine-tune his/her treatment at home and work with the clinician to achieve the best results. Patients are empowered to manage the degree of lower jaw protrusion over as many nights as it takes to achieve the optimal treatment position. 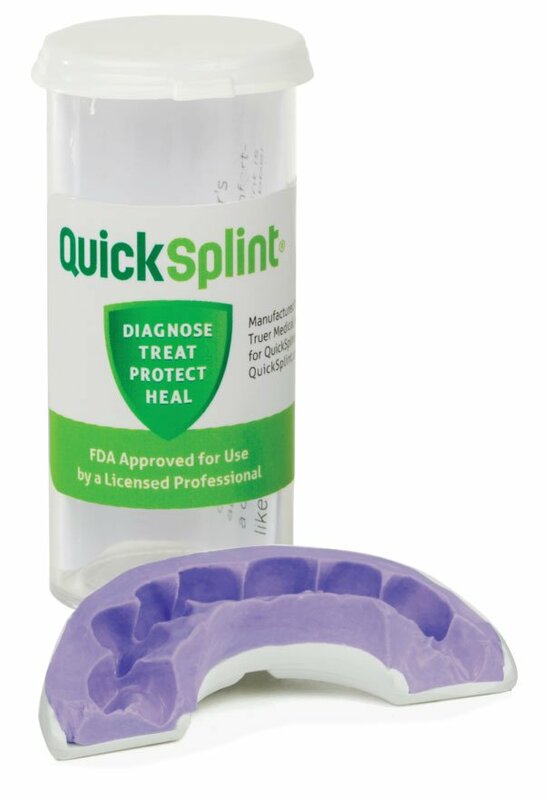 The TAP has a single point of central adjustment preventing an irregular bite and discomfort that may result from uneven bilateral adjustment. 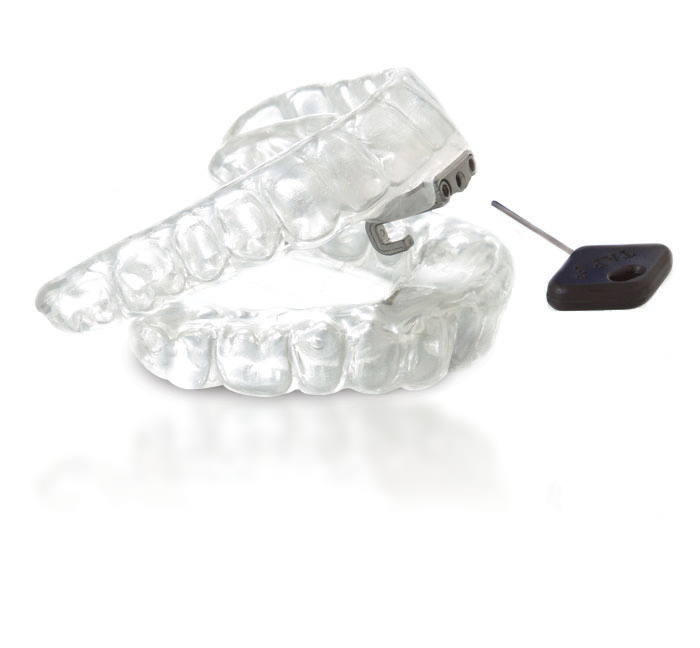 The dreamTAP™ is an oral device intended to reduce or alleviate nighttime snoring and obstructive sleep apnea (OSA). 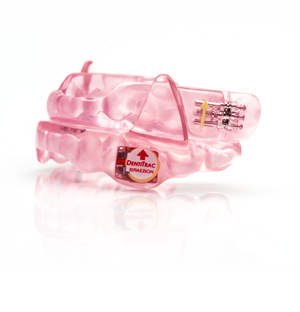 SomnoMed® offers a broad range of oral devices for the first line treatment of mild to moderate obstructive sleep apnea. Digital Simplicity: The first CAD/CAM milled OSA device, MicrO2 is precise, predictable, and easy to use. 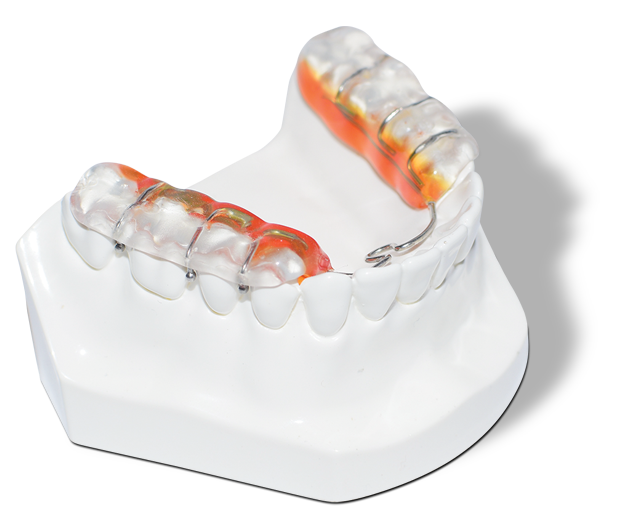 Comfortable Profile: The only OSA device made from control-cured PMMA, MicrO2 is compact without compromising durability or retention. Easy Adjustment: Featuring an adjustment method similar to changing aligners, MicrO2 has a one-piece construction with no moving parts. 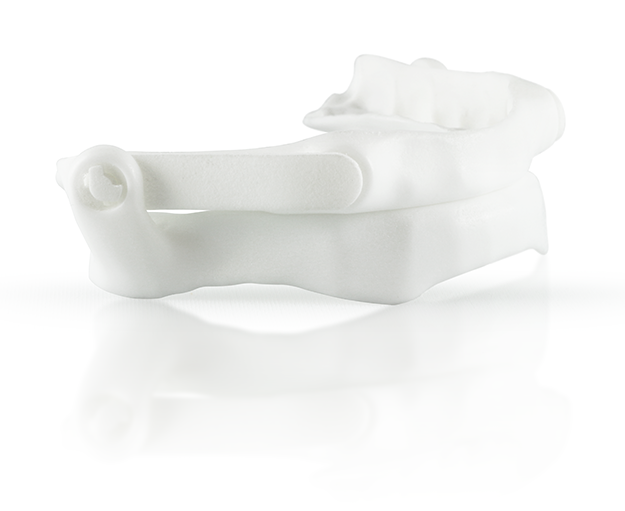 Lingual-Free Splint: MicrO2 offers a lingual-free design that is intended to offer the patient maximum tongue space. 90° Post Angle: Prevents lower jaw from falling back during sleep. 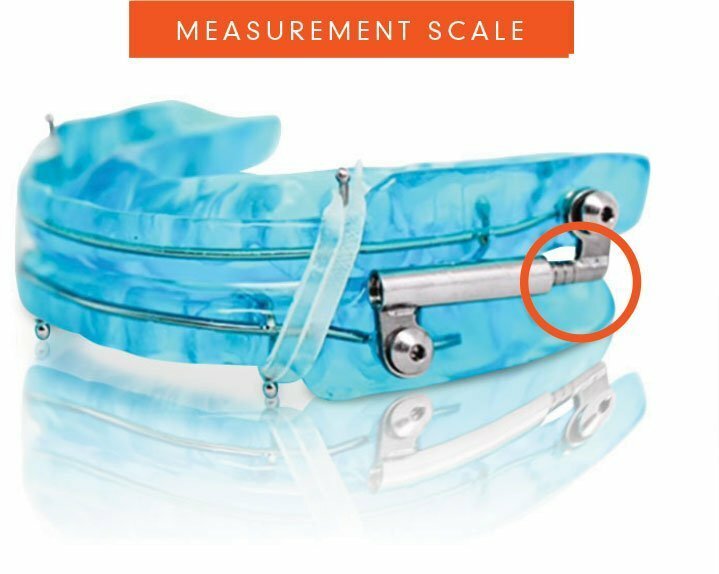 Expert Design: The MicrO2 Sleep Device design is based on the clinical expertise of leaders in the field of Dental Sleep Medicine. The Meridian PM improves your sleep while revitalizing you. 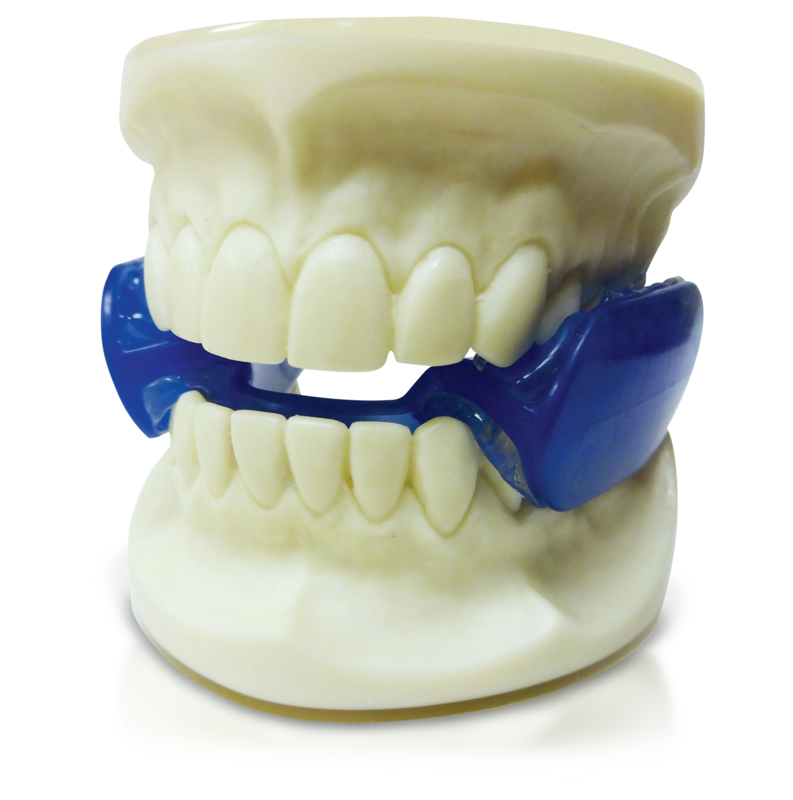 By holding the lower jaw in a more comfortable position, the Meridian PM eliminates the potential jaw pain and changes in the patient’s bite often experienced with traditional oral appliance therapy. It effectively treats snoring, OSA and associated breathing symptoms by stabilizing the lower jaw and training the tongue to stay forward, maintaining a clear upper airway during sleep. The natural result is a decrease in the frequency and duration of apneic and hypopnea events, including snoring. The appliance supports oxygen exchange during sleep, improving health and social consequences associated with OSA and snoring. 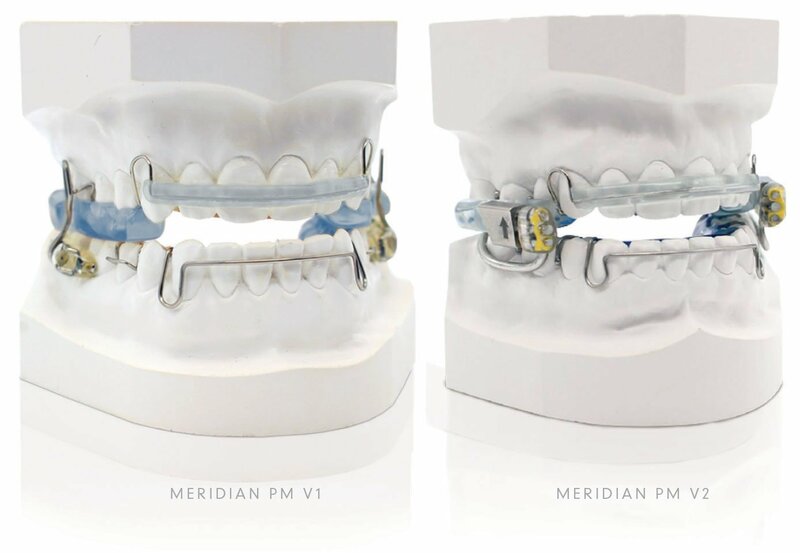 Meridian PM uses a unique mandibular advancement dorsal screw for a smooth effective design. 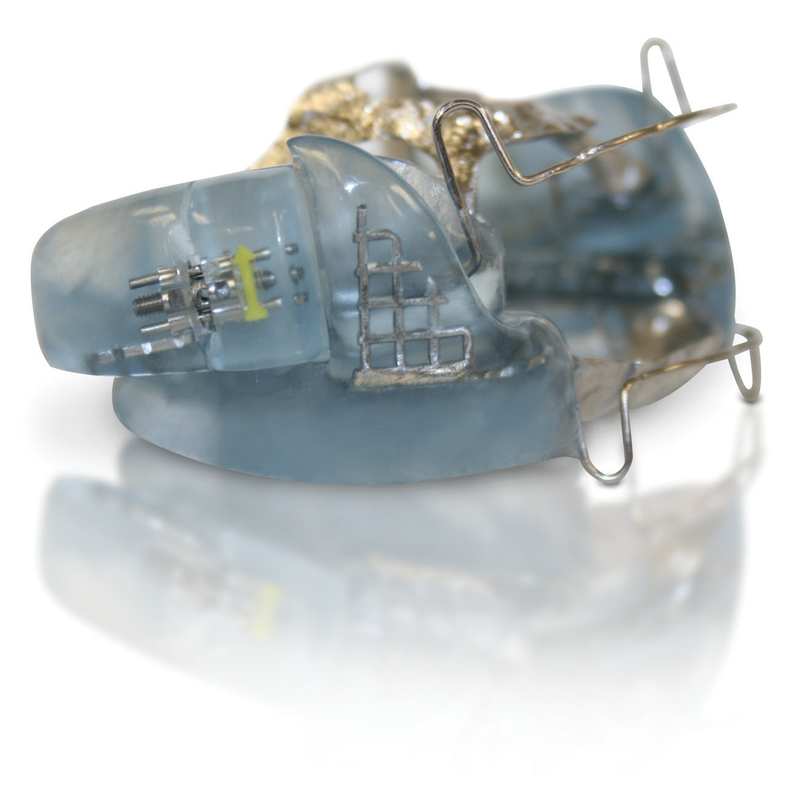 The Luco Hybrid OSA design incorporates over 29 years of experience and more than 4000 TMD, orthodontic and OSA appliances. 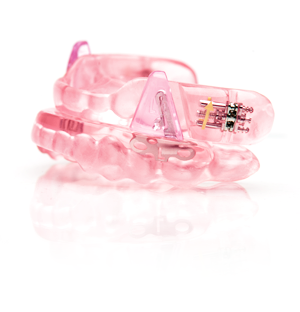 Originally designed for the treatment of advanced TMD cases, the Luco Hybrid appliance is now approved in Canada, Australia and the European Union, for the treatment of Sleep-Related Bruxism, mild to moderate sleep apnea and primary snoring. 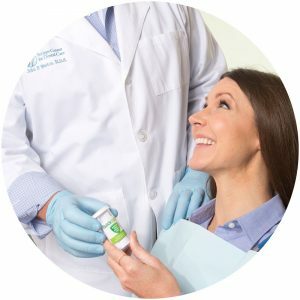 The unique use of Chrome Combalt framework provides reinforcement in all the high stress areas to effectively control clenching and bruxism. The patented wing design holds the lower jaw in a forward positioning during sleep. Tooth movement is minimized with a retainer wire in front of the upper and lower teeth while functioning to guide the patient when placing the appliance. These combined innovations to address strength, functionality and comfort qualifies the Luco hybrid OSA as one of the leaders in the new generation of OSA appliances. Hydrophilic bite registration material for faster work and intra-oral set times. Increased dimensional stability and excellent performance in presence of moisture. 15 sec. working time, 45 sec. intra-oral set time. 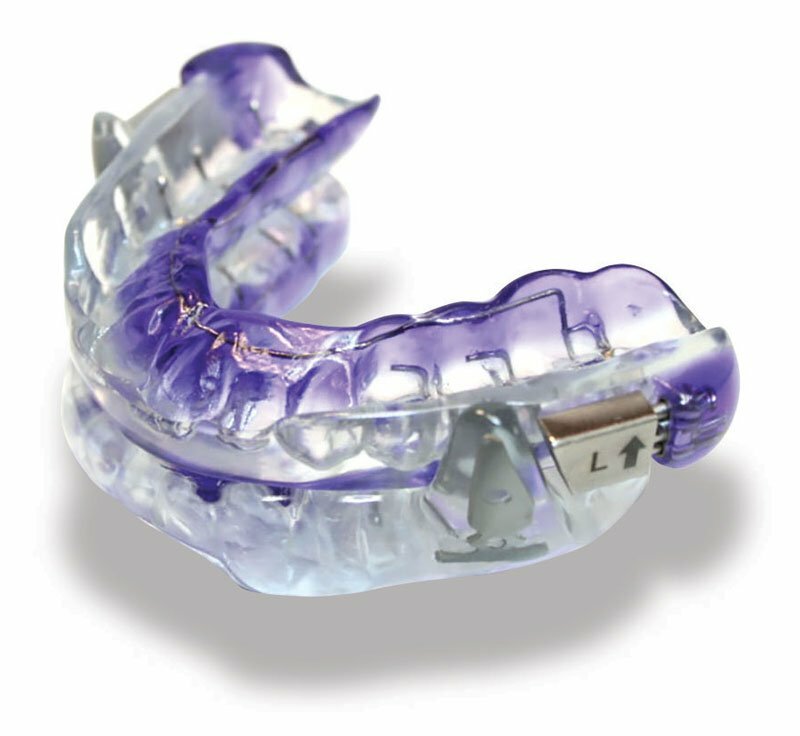 The Moses Express is a new, FDA cleared intraoral mouthpiece for treatment of snoring and sleep apnea. Based on the same principles of the successful Moses appliances, it is the first such adjustable, customizable device that can be delivered chairside in 10 minutes or less. It is made of flexible material, dual-layer injection molded. The inner layer softens in hot water and takes the shape of the posterior teeth for a secure, snug, comfortable fit. The outer layer remains stable. 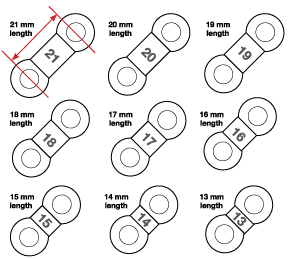 The upper and lower arches are set to a predetermined position by selection of one of the nine bite sticks that snap off of the Bite Stix Wheel. The Moses Express must be made over maxillary and mandibular full arch retainers to prevent tooth movement. . The Aqualizer is the most accurate and effective differential diagnostic tool available. 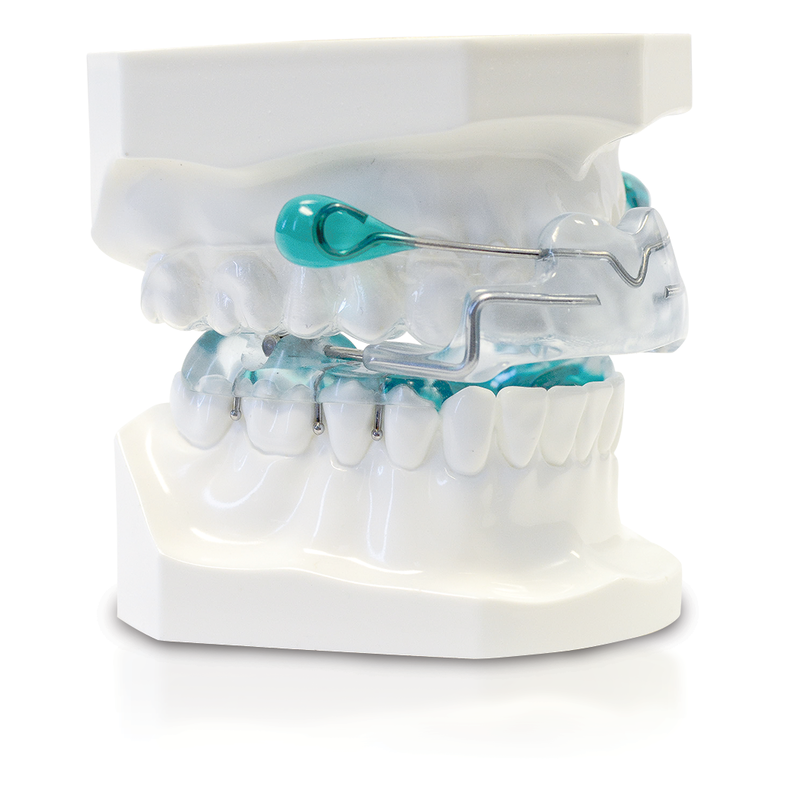 The Aqualizer allows the body to find instant functional balance by unraveling the malocclusion it is locked in. 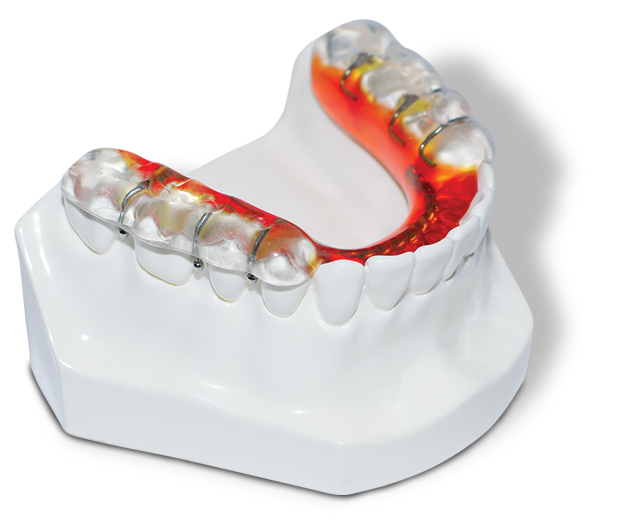 The Aqualizer is an invaluable tool to anyone who is suffering from the effects of TMD. Dental devices made from this bite are immensely effective, predictable and require remarkably few adjustments, saving valuable chair time. 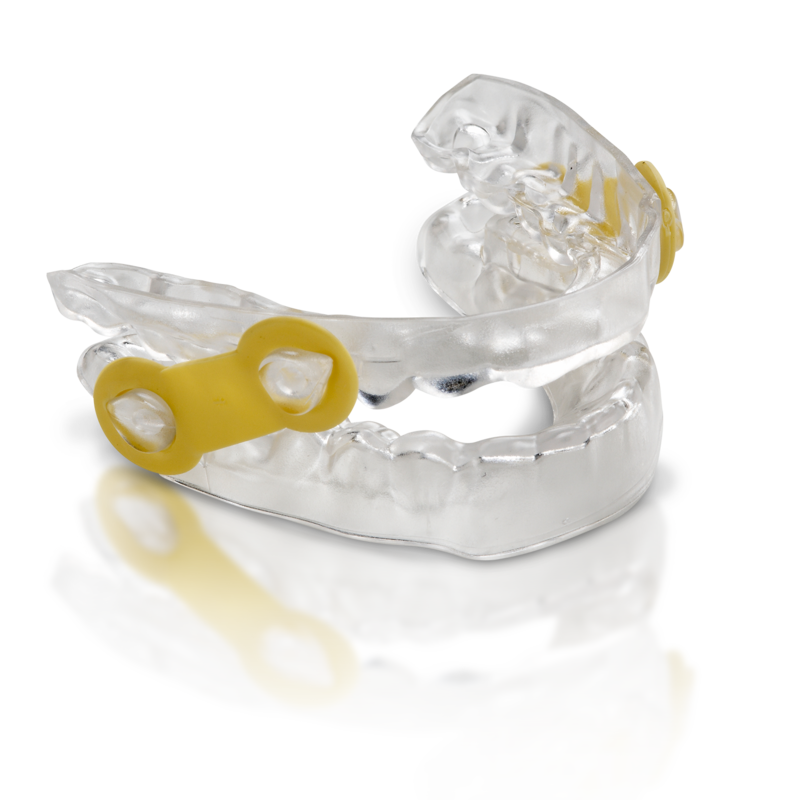 The MORA (mandibular orthopedic repositioning appliance) as described by Dr. Gelb, is designed to reposition the mandible to achieve neuromuscular balance and an optional condylar-fossae relationship. 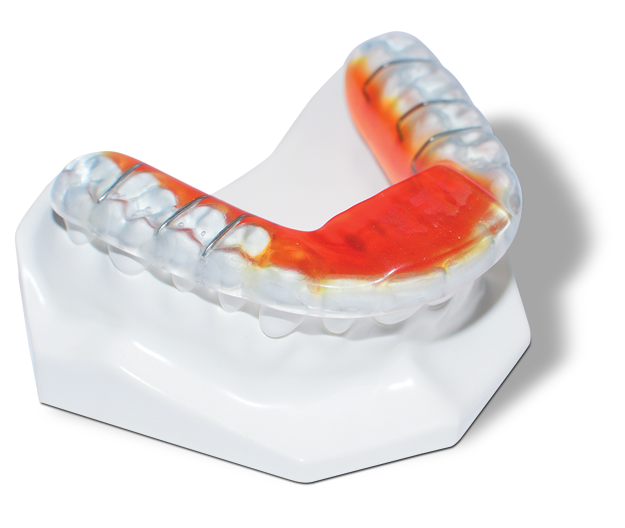 The Gelb splint is a mandibular splint with acrylic coverage over the posterior teeth and acts to increase vertical dimension. The splint is used to reposition the mandible and can also be used to recapture the disc. 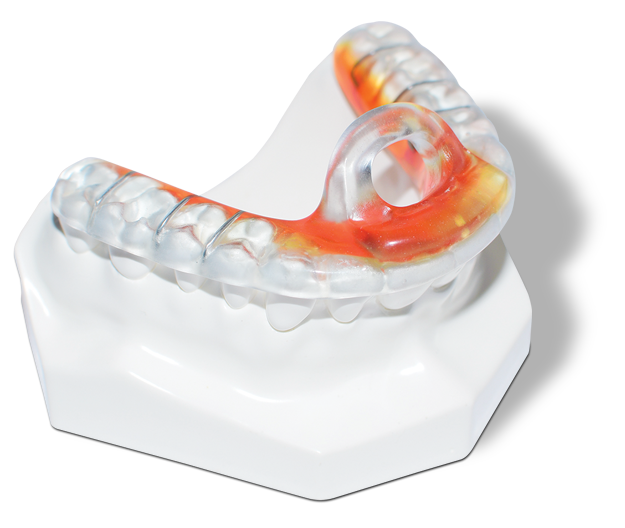 This design allows the patient to function normally at the new position while reducing pain/inflammation in the TMJ. 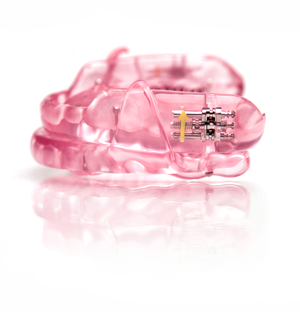 The Apex Daytime MORA is available in 3 design options: Daypex-D1 (acrylic with ball clasp), Daypex-D2 (acrylic with ball clasp and lingual wire connector) and Daypex-D3 (thermoformed). These three designs allow for them to be fabricated based on specific concerns for narrow arches, anterior crowding, strength and overall appliance volume/comfort. Features: Acrylic and ball clasp design provides adjustability and added durability. Features: Lingual wire provides added comfort and reduced lingual thickness. 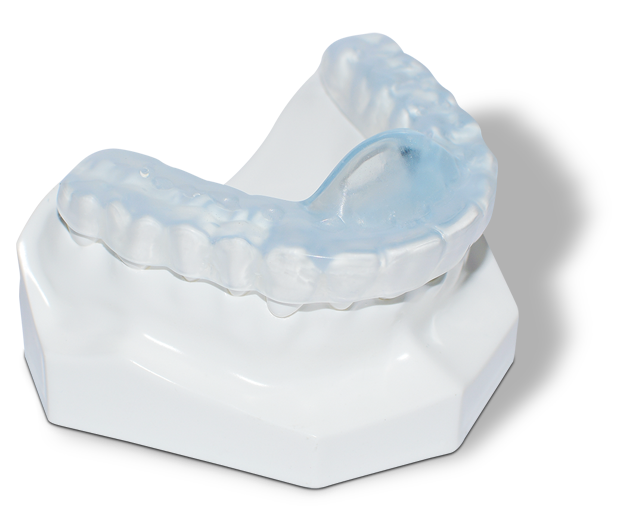 Features: Biocompatible material for added comfort, minimal thickness and reduced acrylic. Features: Anterior occlusal pad with no posterior contact. 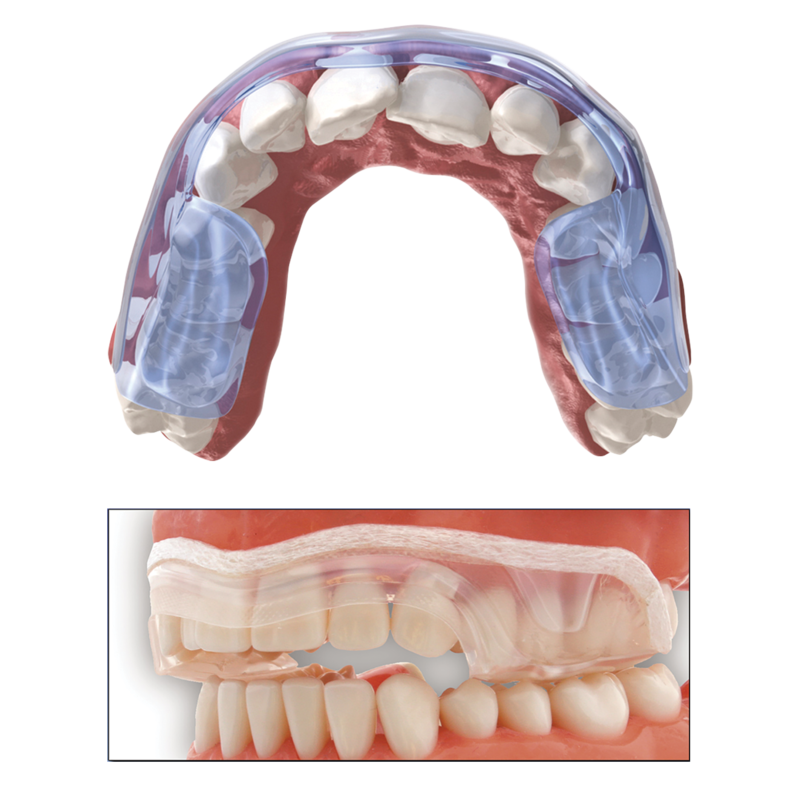 Features: Full arch occlusion with anterior ramp. Features: Combines the benefits of anterior deprogrammer with no posterior occlusion of Apex-N1 and anterior ramp of Apex-N2 to support the mandible in the supine position. Features: The Apex-N3 design with added nasal lifters for improved nasal breathing. Reduces in ammation (capsulitis).